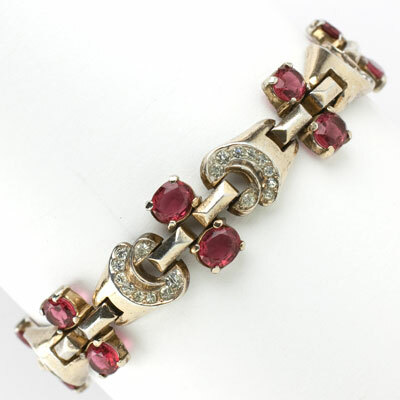 Ruby, the star of July birthstone jewelry, is a gemstone that has been revered since ancient times as a symbol for passion, protection, and prosperity. 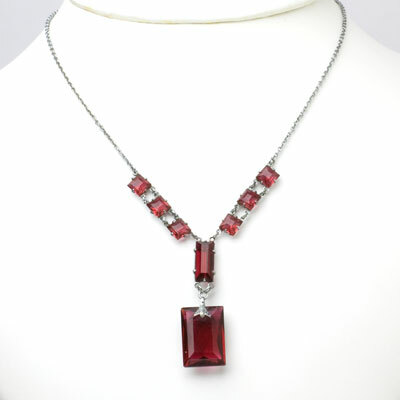 This gem’s name comes from the Latin word for red. 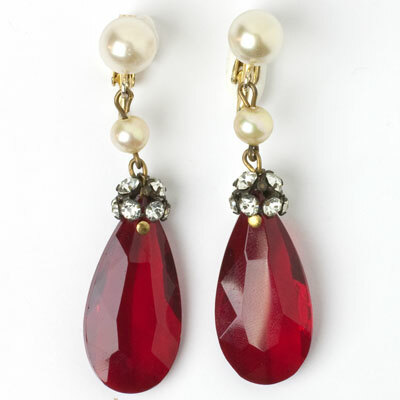 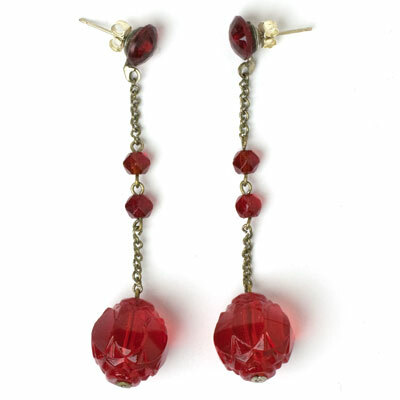 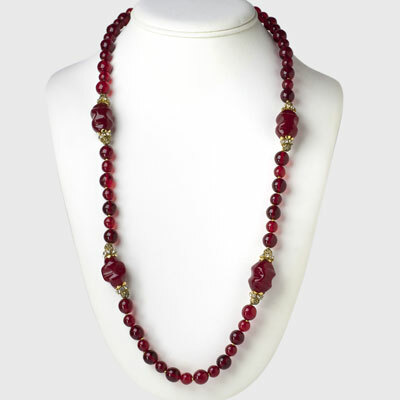 While precious rubies have been among the most highly-prized of gemstones, glass stones and beads created in this rich color for beautiful costume jewelry for centuries. 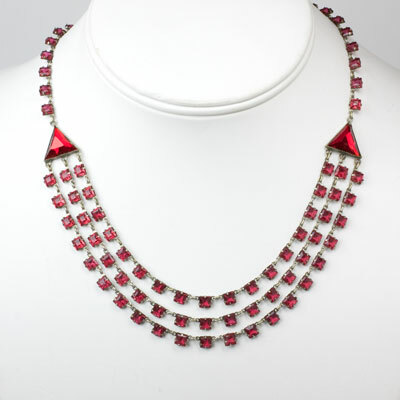 Whether you want to complement a red outfit or wish to add a splash of drama to an ensemble in other colors, you’ll find a fine selection of ruby necklaces, bracelets, earrings and brooches here. 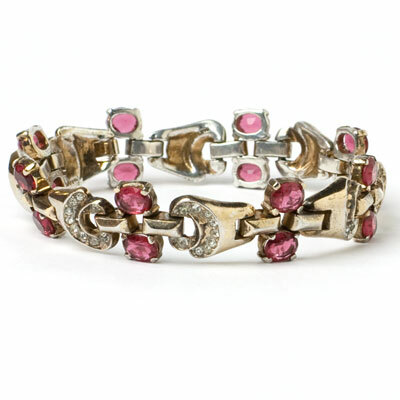 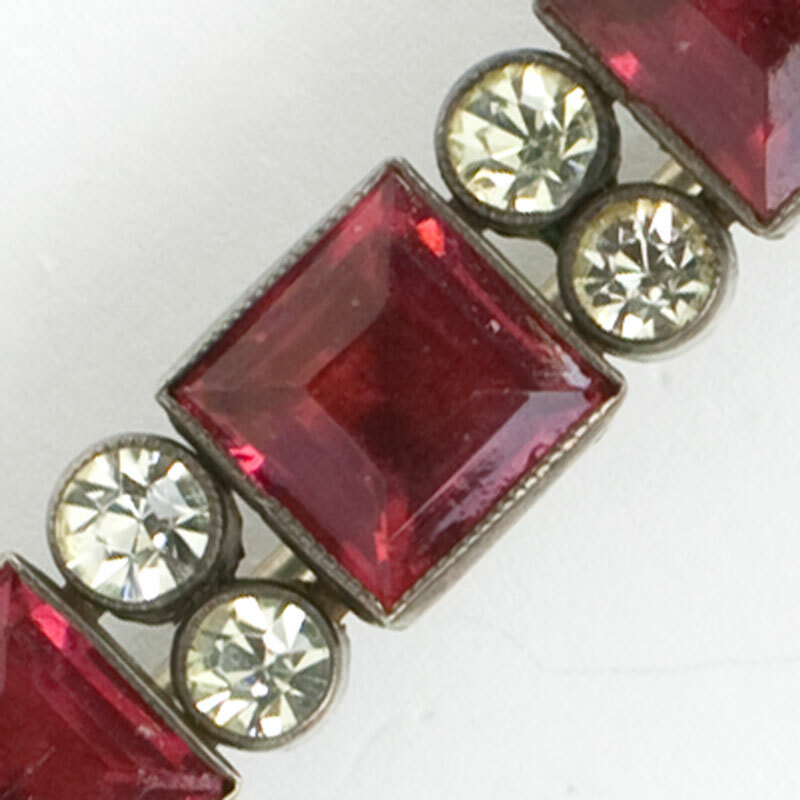 For tips on accessorizing today’s fashions with July birthstone jewelry, read this blog post. 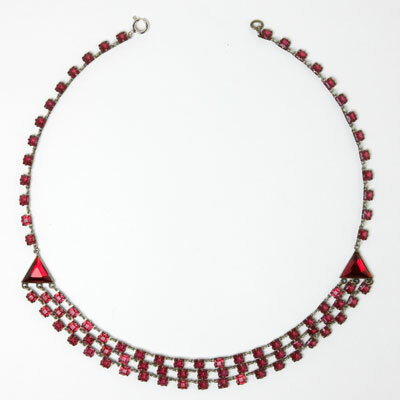 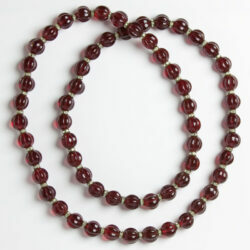 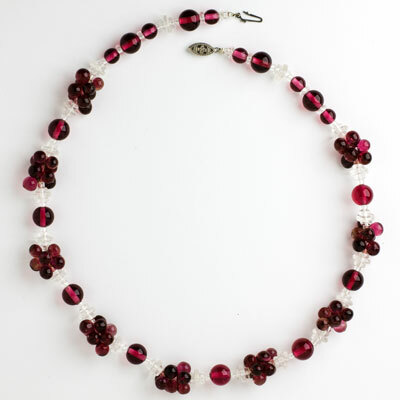 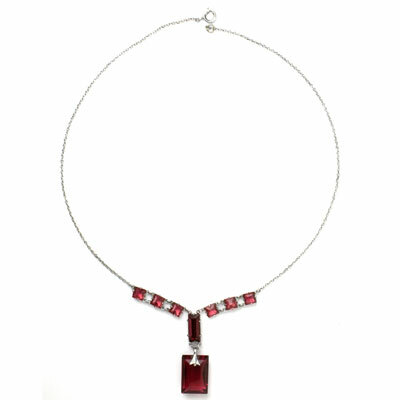 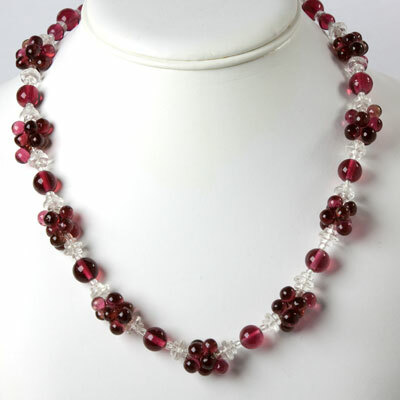 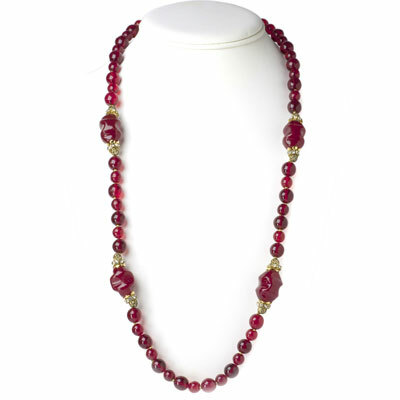 This vintage glass necklace with nine faceted, oval-cut ruby-glass stones in open-back settings is a lovely Art Deco piece. 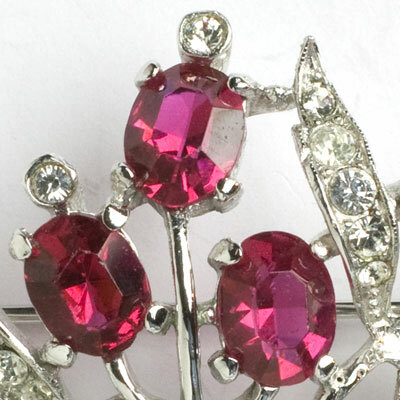 The color is a deep-raspberry. 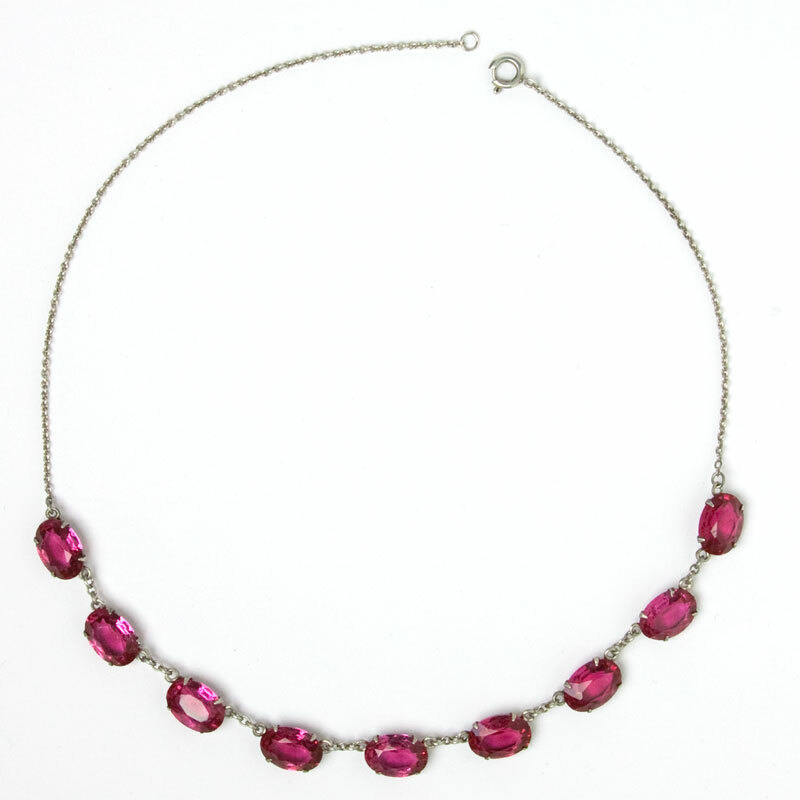 A silver-tone chain with a spring-ring clasp completes this necklace from my personal collection. 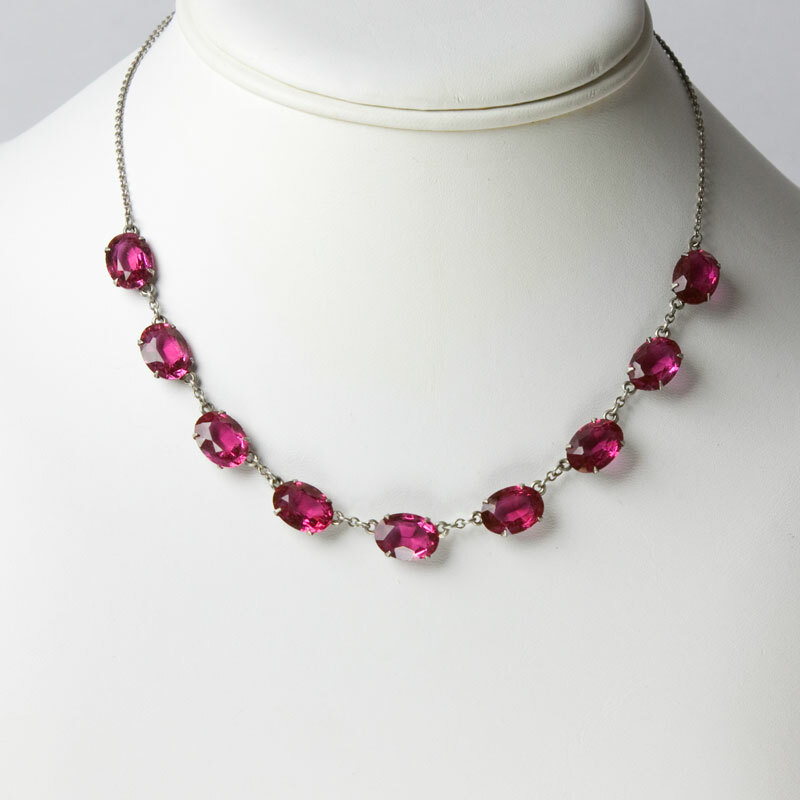 Although this piece was made for a slim neck, you could easily add a chain extender. 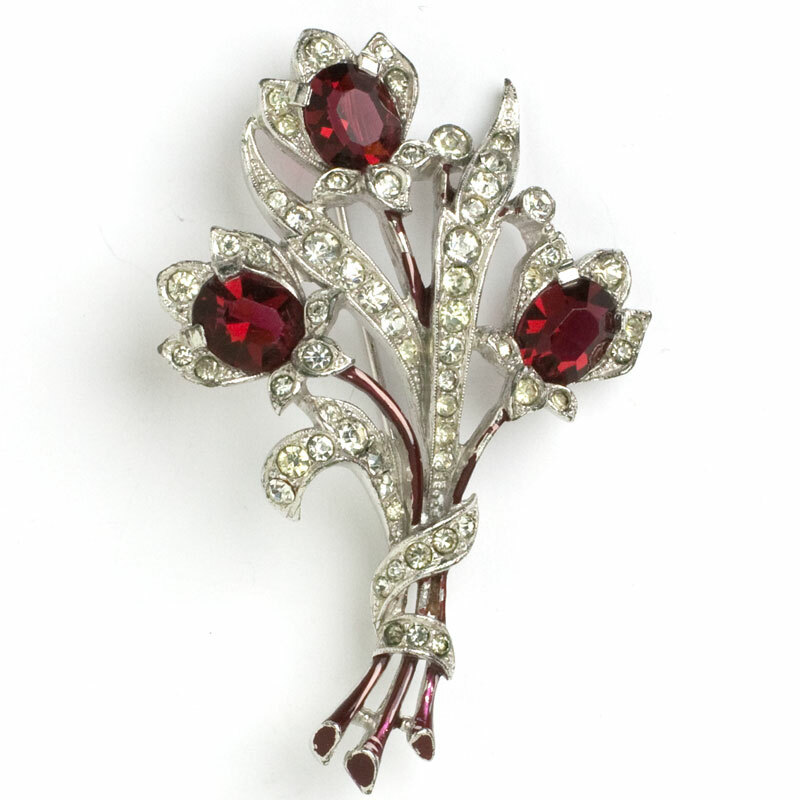 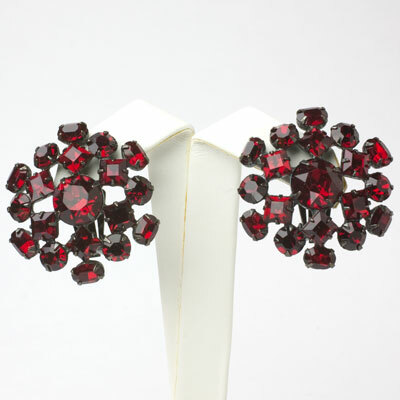 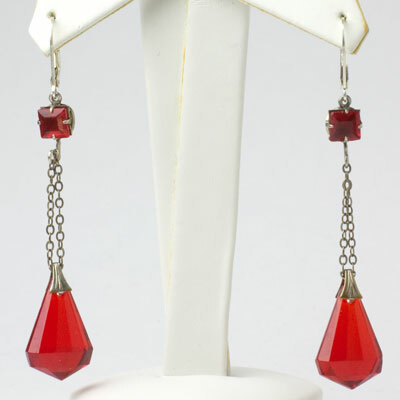 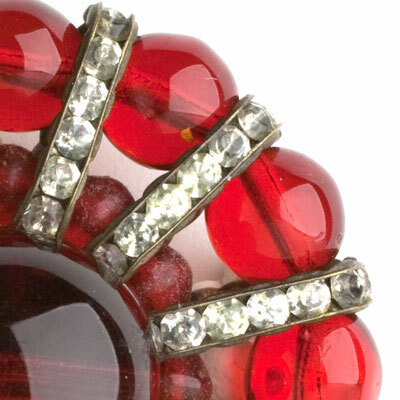 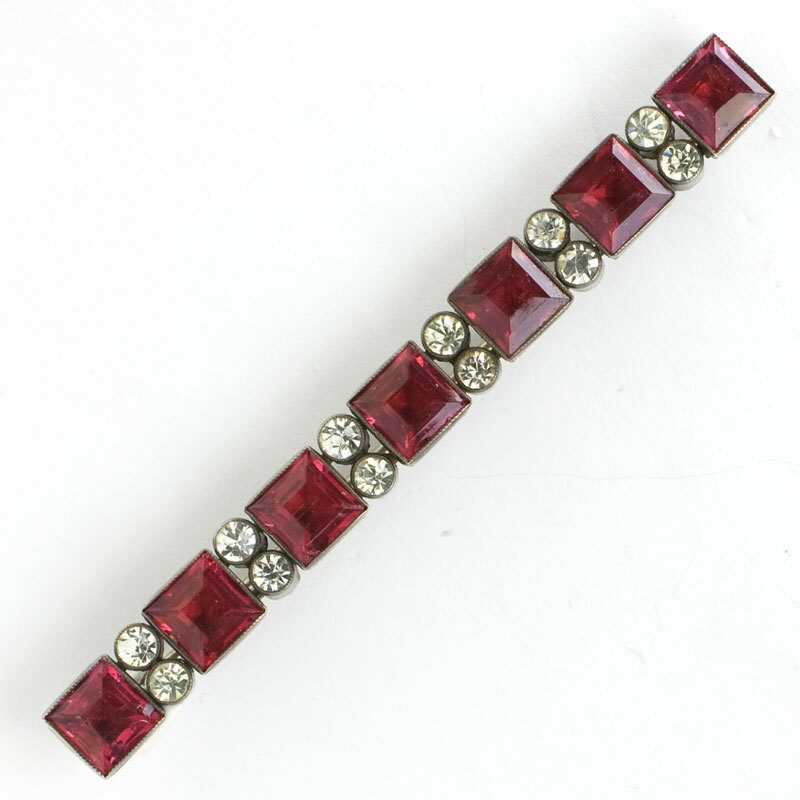 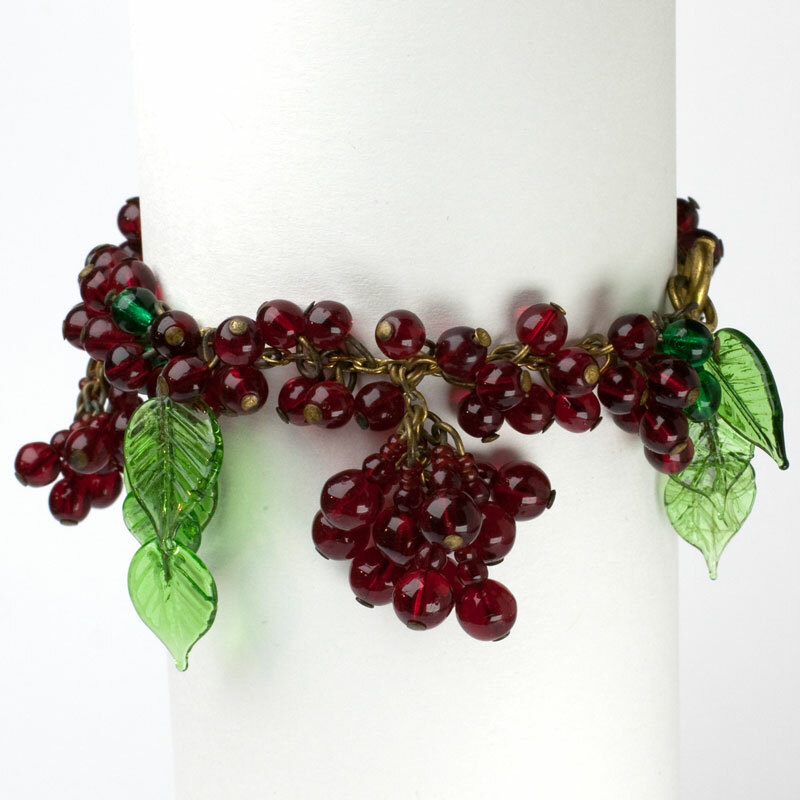 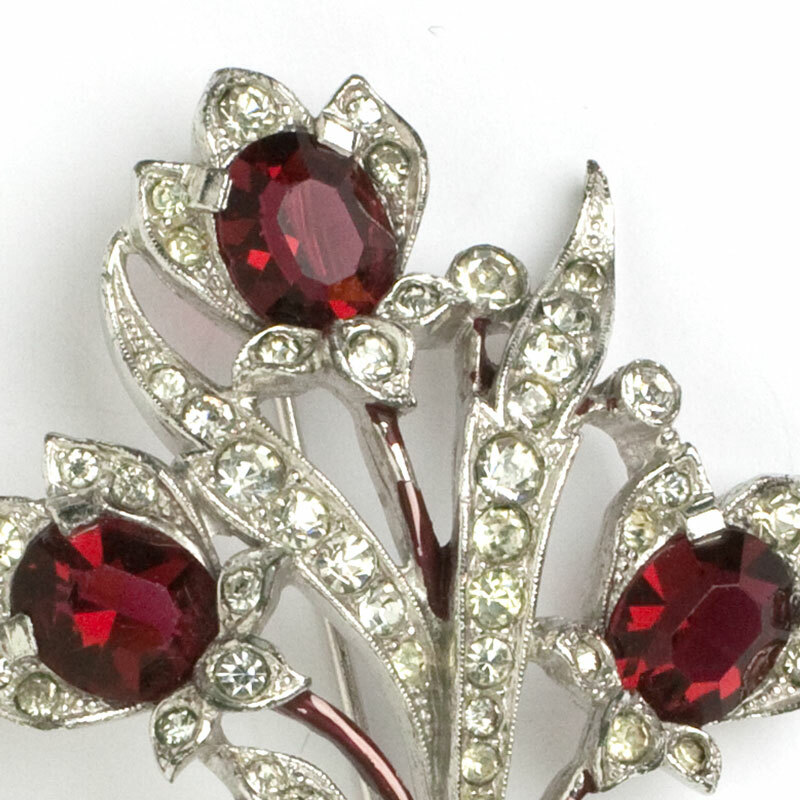 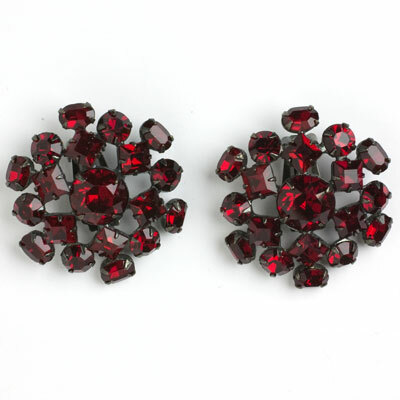 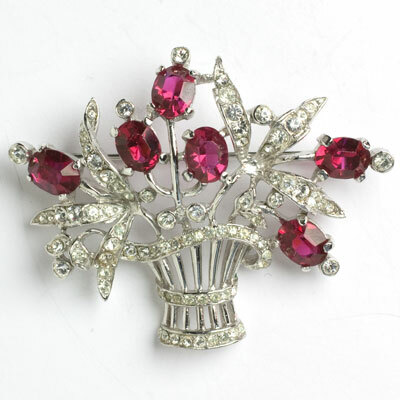 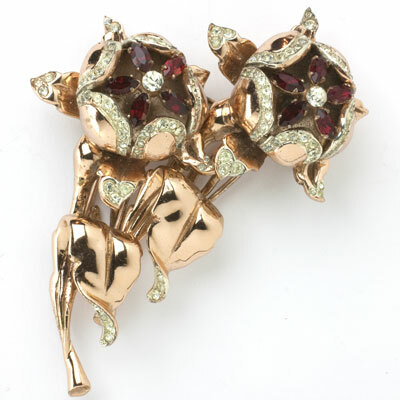 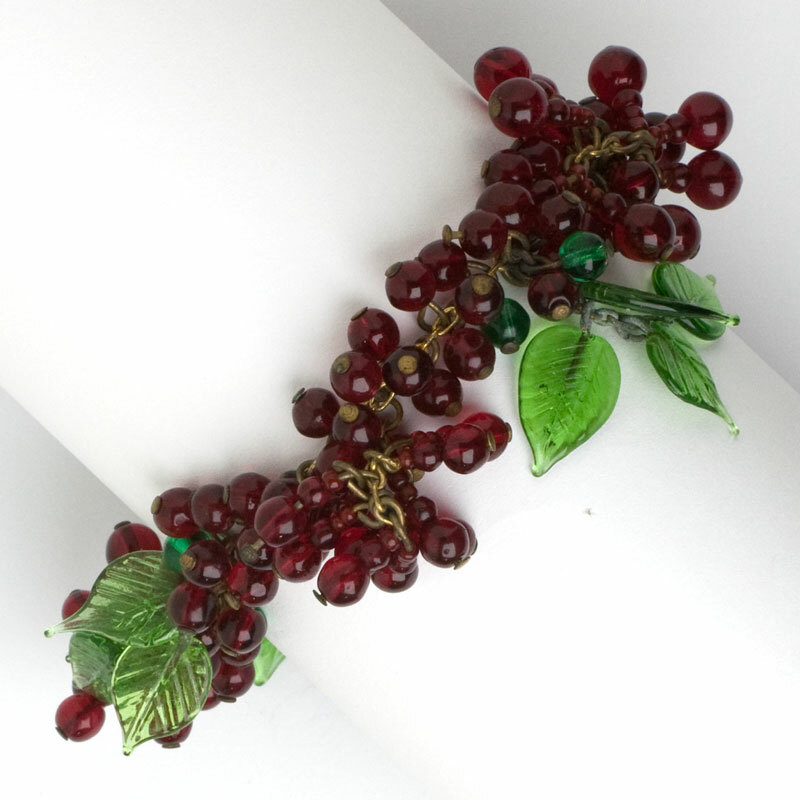 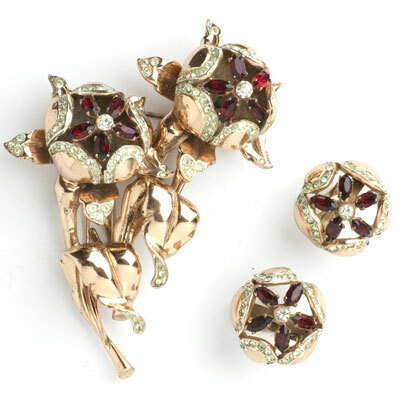 This Miriam Haskell brooch, which is also a dress clip, has deep-red glass beads separated by rondelles and small flat beads in silver metal findings. 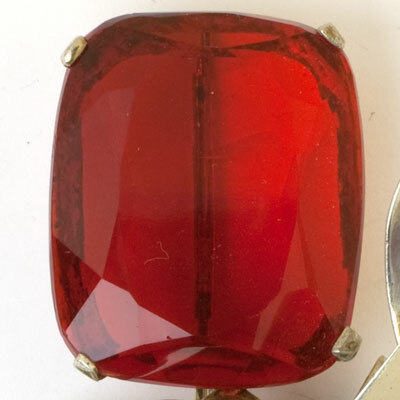 A World War II-style dress clip is attached to a pierced plastic back. 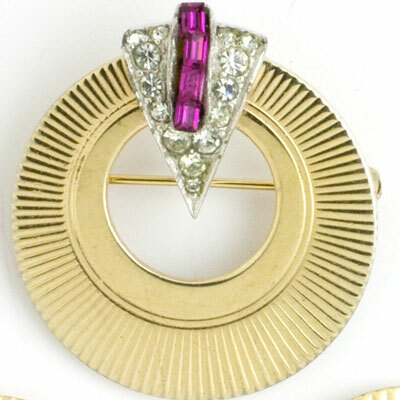 Frank Hess used this Machine Age-style in other designs. 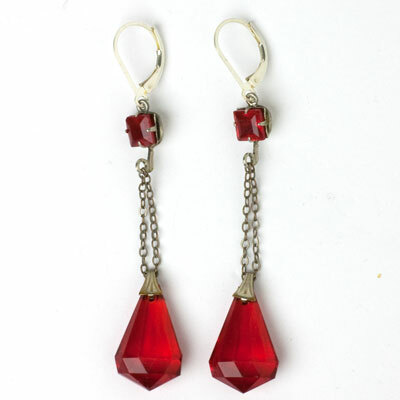 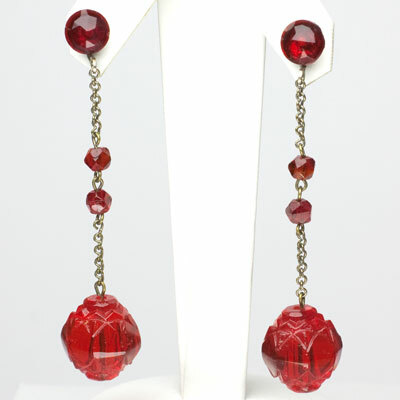 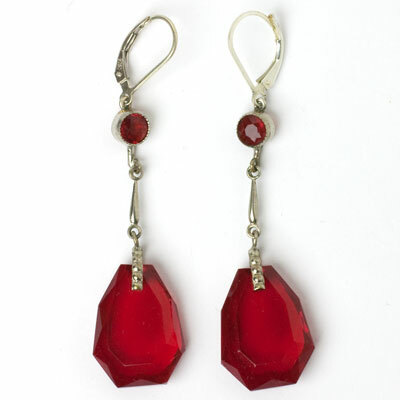 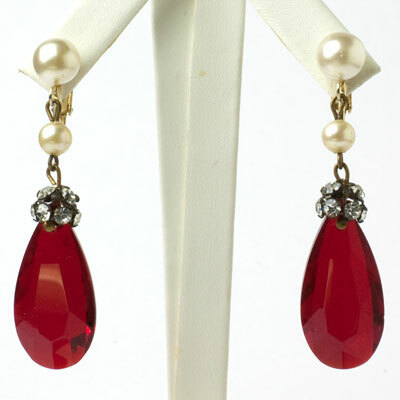 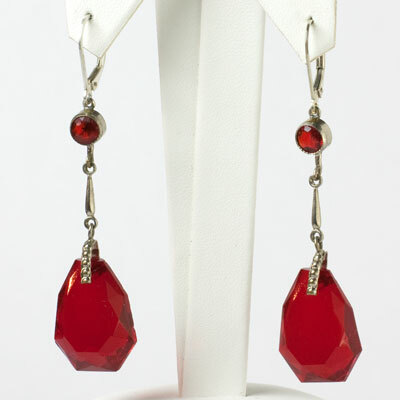 (Scroll down to see a similar pair of earrings.) 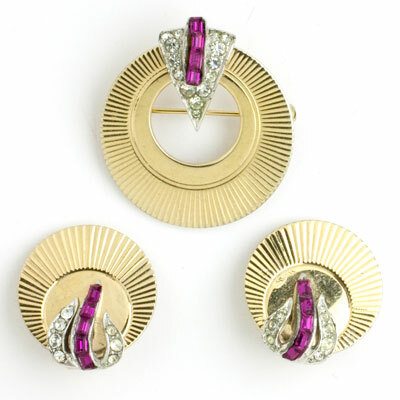 I bought this piece from Haskell expert Cathy Gordon, who indicated that the pin stem was probably added to the dress clip at a later date. 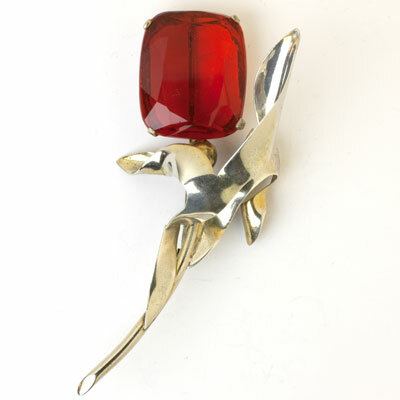 In addition to wearing this piece as a clip or brooch, you can wear it as a pendant on a black cord (shown in the last photo) or on a silver or white-gold chain. 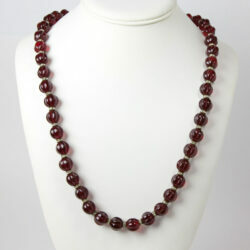 The 17" black cord shown is included with this purchase.